Today, Circulating Now has the honor and privilege of featuring a brief interview with Melvin R. Laird, one of the many dignitaries who participated in the groundbreaking fifty-five years ago today. Mr. Laird was then a Republican congressman from Wisconsin, an office he held for sixteen years, from 1953 until 1969. Subsequently, from 1969 until 1973, he served as Secretary of Defense under President Richard Nixon. From 1973 to 1974, Mr. Laird served as senior White House counsel during the resignation of Vice President Spiro Agnew and the installation of Vice President Gerald Ford. 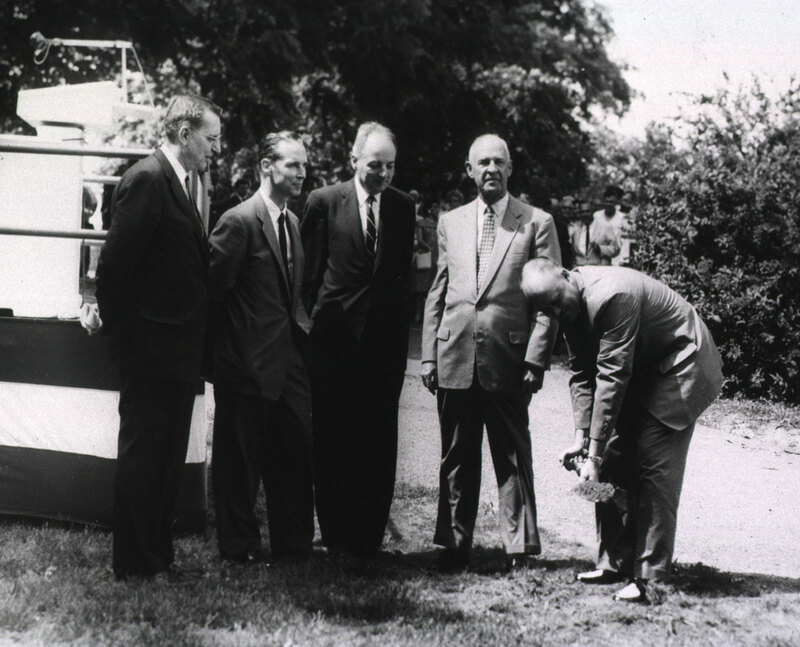 Circulating Now: What are your recollections of the NLM ground breaking? 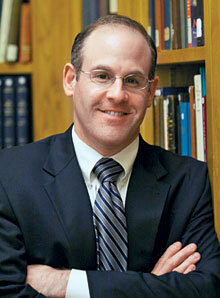 Melvin R. Laird: It had been much anticipated for some time. Looking back on it now, literally—thanks to this image from your collection—I am reminded of my good friend and fellow congressman, John E. Fogarty, Democrat from Rhode Island, with whom I served on the House Appropriations Committee for Defense, Health, Education, Welfare and Labor. Fogarty and I felt that this National Library of Medicine would become the world’s most famous medical educational and research informational center. 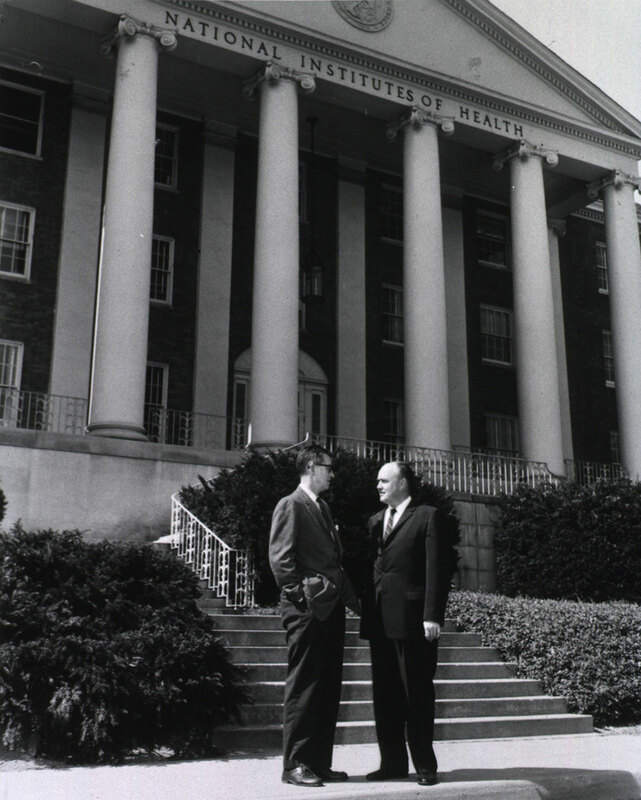 It was a great start to what ultimately became the reward of the NIH to the nation and to the world, with its research resulting in better health care for people all over the world. Thinking about this legacy of the NIH and NLM reminds me of a statement made in 1964—to Chairman Fogarty of the House Appropriations Committee—by Dr. Ben Lawton, President of the Marshfield Clinic, of Marshfield, WI: “The future of medicine without research is no future at all.” Lawton and his colleagues, including Drs. Stephen Epstein, Russell Lewis, Dean Emanuel, Stan Custer, George Magnin, and Fritz Wenzel from the clinic’s management—alongside faculty and staff of the University of Wisconsin at Madison—formed an outstanding support group for me when I was in Congress, urging me to support research and ultimately leading me to make this a special cause during my tenure. Were it not for Lawton, Epstein, and others at the Marshfield Clinic, I might have taken up some other cause. Congressman Laird pauses to chat with Dr. James A. Shannon, Director of the National Institutes of Health, in front of the NIH Administration Building. CN: Tell us more about your partnership with congressman Fogarty to support the NIH. MRL: We came together as friends, and in cooperation with NIH director Jim Shannon. The two of us put aside our party affiliations and worked with Shannon to prove how working together could build a national program for health research and education that would be the envy of the world. In every conference we stood together with one position. We thoughtfully discussed and agreed on how far we could go each year, how far we could increase the budget to ensure no veto. I think our judgment was the outer limit. It proved to be successful on many occasions as we increased the budget of NIH from a few million dollars annually during the early 1950s to almost one and half billion dollars annually before Shannon retired from his position in 1968. Our personal relationship with Shannon was very evident. We traveled together to World Health Organization (WHO) meetings and other places of research interest, from San Diego to the Pasteur Institute to the Middle East. Some members of our respective political parties did not always approve of the Fogarty-Laird partnership. This sometimes even included Presidents Eisenhower, Kennedy, and Johnson. CN: But you persisted, with impressive results, and obviously too with some lessons to offer! MRL: Yes, with the deep grid-lock in Washington these days, the story of the Fogarty-Laird bipartisanship partnership takes on great importance. Bipartisanship partnership is one way to get great things accomplished. It is important to work together as a team if you really want to get results. 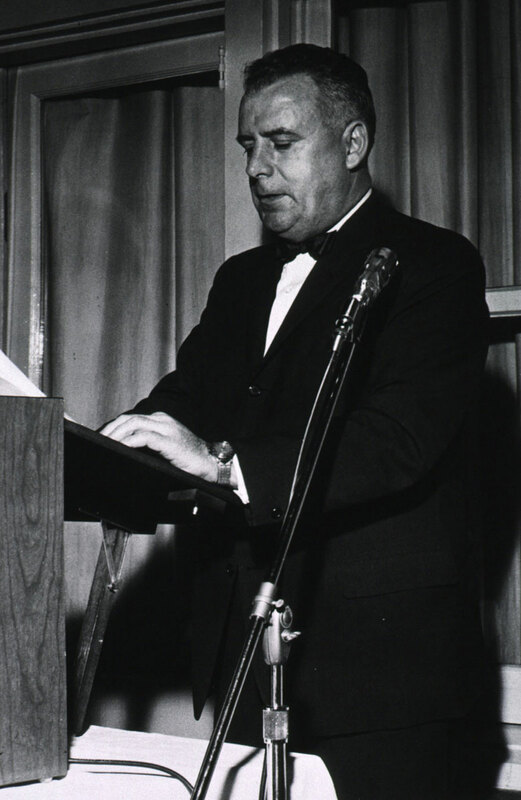 Listen to the proceedings of the entire ground-breaking ceremony (including the speech by Melvin R. Laird, which is located at 21:03 in the recording). Next Post: Losing the Miracle?